Four units are available in this perfectly located commercial rental unit, ideal for retail, office space, or production. Located directly off the main road, "Condor Crossroads" is the last business location between Frazier Park and Pine Mountain Club. The area gets plenty of traffice, and the visibility of the building makes it a great option for numerous different types of businesses. $700 for Unit F (a larger office space with a bathroom inside) This unit is adjacent to the smaller unit, and the two can be opened up and rented together. $1,215 for Unit C (a facility with two large side rooms, a bathroom and 3-phase electric). This is an ideal production facility. Directions to building: Take exit 205 off the I-5 freeway. Continue straight for about 7 miles, turn right into "Condor Crossroads", across from Mike's Pizza. 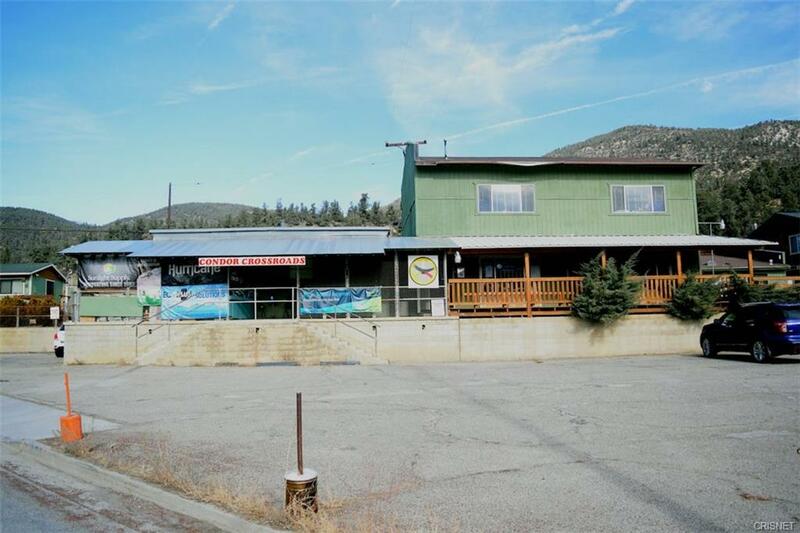 Please contact Daniel to see this great commercial rental opportunity today!